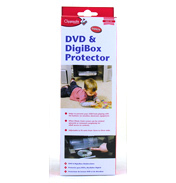 Once your baby starts to move around it is essential that you baby proof you house to avoid any accidents and injuries. Babies are very inquisitive by nature and usually want to play with whatever they shouldn’t be playing with! So it is best to move all of your important breakables out of the way or locked up for a little while. Here in the Baby Shop at WWSM we have many baby safety products to use around the house and even when you are out and about. These products have been divided into categories on shelves; please see below for a more detailed look at what we have to offer on these shelves. 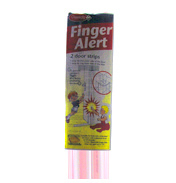 On the Clippasafe Household Safety shelf there is a range of products that will help protect your child (and your house) from accidents and mishaps. 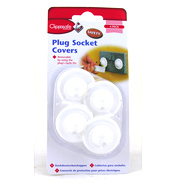 Many of these products are very simple to fit like Corner Cushions for sharp table/furniture edges, a Door Stopper to stop little fingers being trapped, Plug Socket Inserts and an Electric Cable Shortener to keep the cables out of view. 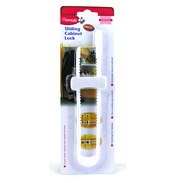 We also have many different styles of cupboard locks that can be screwed, stuck or just fastened in place so that the contents are not dispersed all over your house and any more dangerous items can be kept out of the way. On the Fireguards shelf you will find an essential product if you have an open fireplace, long burner or even a gas fire. The last thing you want is for your child to be burnt in any way. The Clippasafe Classic Fireguard and Extendable Fireguard are easy to assemble and fit, but make sure you attach them to the wall or fire surround. Both of these fireguards can be extended to over 2m by buying an extension pack. Even if you do not live in a house with stairs you may find you need a safety gate. 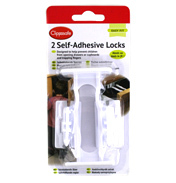 We stock a good choice from brands Clippasafe, Baby Dan and Bettacare and Learning Curve on our Safety Gates shelf. You can get Safety Gates that need to be fitted directly to a wall and also ones that are pressure fitted. The Advanced Auto Close Gate from Bettacare also closes by itself so you if you forget to pull it closed yourself then it doesn’t matter so much. 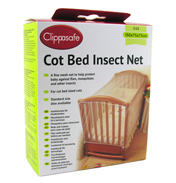 If you have cats or live in a place where there are lots if insects it might be a good idea to purchase a net from the Nets shelf. 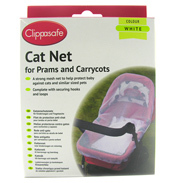 We stock a range of nets to protect you baby from cats and insects in a variety of sizes, cots, cot beds, prams, strollers and travel cots too. Although you don’t see reins being used as often as they used to be these days they are still a good piece of safety equipment to have when you are out and about. On the Safety Harnesses & Wrist links shelf we have both the more traditional rein where the harness fits over your child’s arms and fastens around the back with the rein for you to hold on to and also wrist links which are great in busy areas where you can hold your child’s hand but have the extra security that if they let go you still have hold of them. All of these are available in a mix of different designs and colours. Temperature is very important when you have a baby. On the Thermometers shelf you will find a Clippasafe Dolphin Bath Temperature Indicator so you can make sure the bath water is just right. 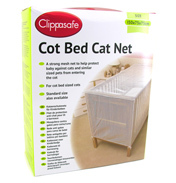 There is also a Nursery Thermometer from Clippasafe which lets you check that baby is in a safe and comfortable environment and then make adjustments in the case things are not correct. We really hope you enjoy looking at all of the Baby Safety products we have to offer here in the Baby Shop at WWSM and hope that you can find just what you are looking for.